As fighting continues in Nagorno-Karabakh for a third day, new evidence of Azeri atrocities against Armenian civilians has emerged, causing shock and outrage in Armenia and beyond. Images of Armenian villagers brutally slain by Azerbaijani commandos appeared online late on Sunday. 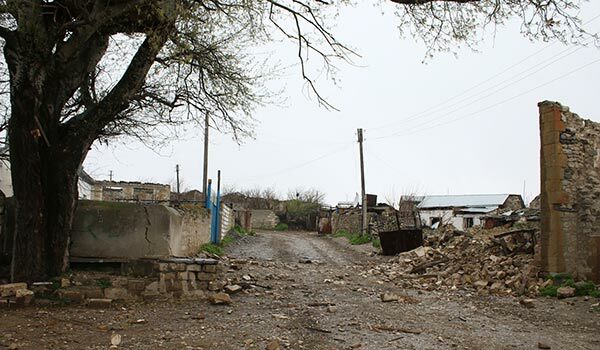 According to reports, Azerbaijani forces attacked the northeastern Karabakh village of Talish on April 2, killing three civilians and mutilating their bodies. Social media, public and political circles in Armenia reacted with strong condemnation of the acts that have largely brought back memories of ethnic persecutions of Armenians in Azerbaijan more than two decades ago. It followed reports about a 12-year-old boy who was killed early on Saturday when Azerbaijani forces used deadly Grad multiple rocket launchers in shelling Armenian populated areas inside Nagorno-Karabakh. Vaghinak Grigoryan and his friends were going to school when their village came under attack. Talking to ArmeniaNow, Armenia’s first ombudsperson Larisa Alaverdyan described the Azeri attacks against civilians as “a war crime”. “We have seen such cases during the first Karabakh war in 1991-1994. Whenever Azeri forces made advancements in some directions they always carried out atrocities,” she said. Armenian MP Tevan Poghosyan also condemned the killings of civilians, reminding about atrocities and ethnic cleansing against Armenians committed by Azerbaijani nationalists in the late 1980s, early 1990s in Sumgait, Baku, Kirovabad and elsewhere in Azerbaijan and Nagorno-Karabakh. He said it is important that the Armenian side manage properly to present this situation to the international community. Meanwhile, the International Committee of the Red Cross (ICRC) issued a statement, indicating its readiness to act as a neutral intermediary. “We are ready to assist and support those affected by the recent escalation of fighting, as well as to act as a neutral intermediary between the parties,” said Patrick Vial, head of the operations for the region. “All sides to the conflict have an obligation to respect the rules of international humanitarian law. As per these rules, the parties must ensure that civilian life and infrastructure is protected,” he added. As the situation remains tense at several sections of the Karabakh front, the local military reports advancements of Armenian forces in a number of directions. At the same time, the Nagorno-Karabakh Defense Ministry says Azerbaijani forces have been sustaining heavy losses among their personnel and military hardware. In particular, it said that five more Azerbaijani tanks have been hit today. And Artsrun Hovhannisyan, a spokesman for Armenia’s defense minister, said in a Facebook post that Armenians in Karabakh have managed to destroy some Azerbaijani reinforcements before they could even join the main troops at the front lines.